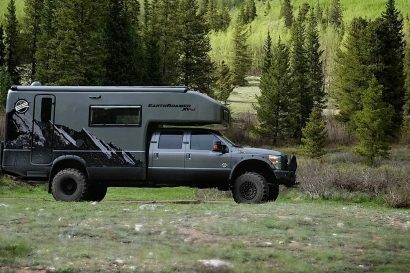 Back in the early ’80s, the automotive industry was responding to consumer demands for compact sport utility vehicles capable of tackling the backcountry with same moxie as their forebearers. Jeep answered the call in 1984 with the Cherokee XJ, which took its cues from the venerable Wagoneer. 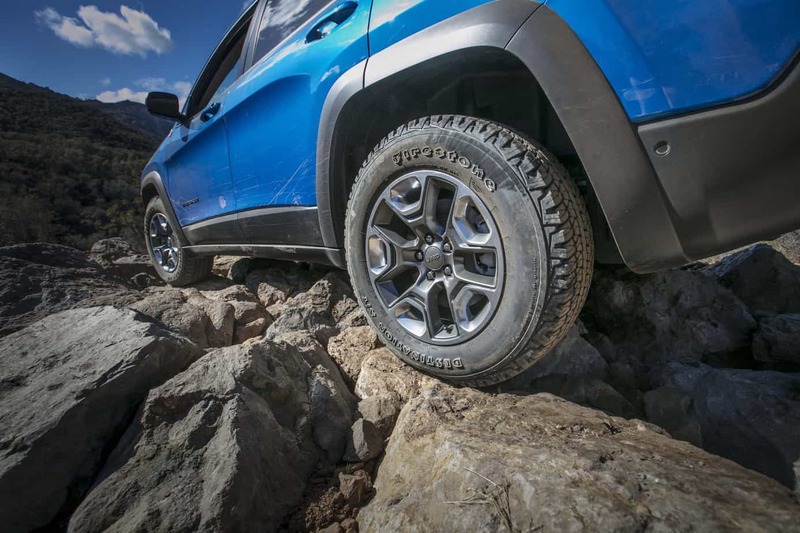 Though not immediately embraced by the off-road world due to its uniframe construction, the Cherokee eventually gained wide acceptance and respect as a capable and reliable platform. Though it was phased out in 2001 (replaced by the Liberty), it returned to US markets in 2014 as the Cherokee KL and has enjoyed a healthy following as a mid-sized crossover. It was given a refresh for 2019, and we were on hand to get behind the wheel and give it a proper assessment. New for 2019 is a turbocharged 2.0-liter, direct-injection 4-cylinder. 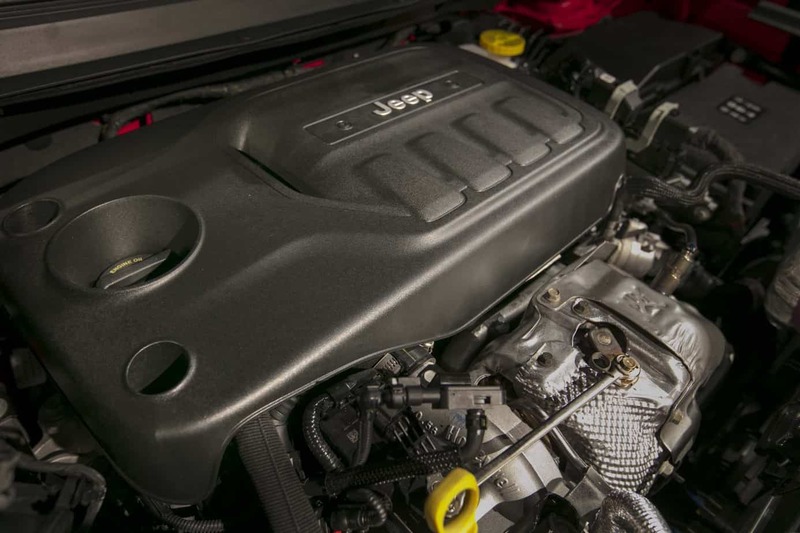 It is the same 270-horsepower mill found in the Wrangler, save the 48-volt eTorque regeneration system. I can tell you that this motor is not the lethargic four-banger of yesteryear, and I was impressed with the responsive nature of the turbo and smooth transition through the power band. 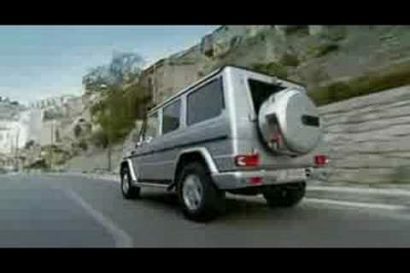 The second option is the tried and tested 3.2-liter Pentastar V-6. With the tow package, the Pentastar raises the Cherokee’s towing capacity from 4,000 to 4,500 pounds, sufficient for hauling a small trailer or ski boat. 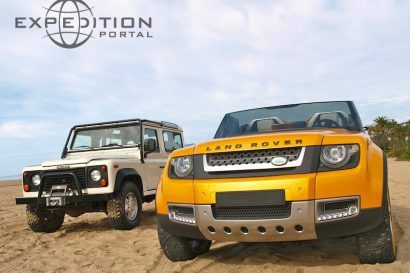 The base engine is still the 171-horsepower, multi-port, 2.4-liter Tigershark. Although this engine doesn’t have the muscle of the 2-liter turbo or grunt of the Pentastar, it has sufficient of power for most applications, but towing capacity is limited to 2,000 pounds. All have aluminum blocks and heads, 10:1 compression ratios, and electric start/stop (ESS). I’ve had a hard time getting used to my engine shutting down at stoplights, but fortunately, ESS can be disengaged. In an ongoing attempt to improve fuel efficiency, manufacturers keep adding cogs to transmissions. 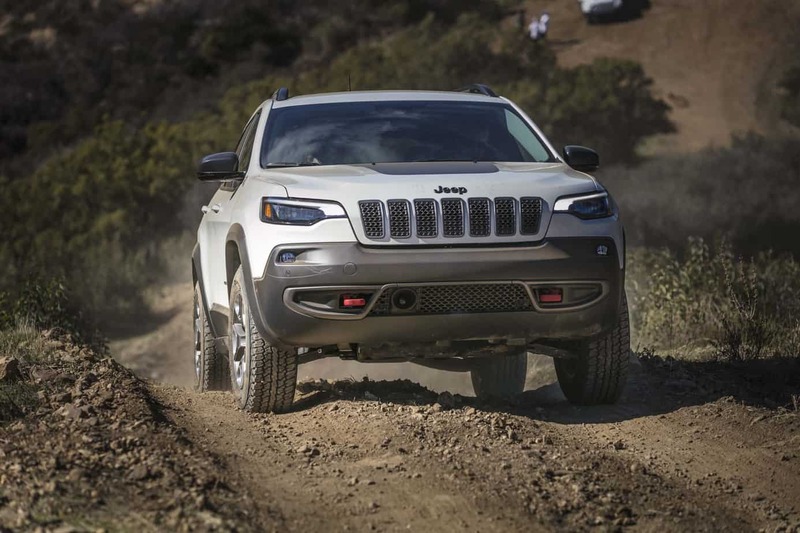 The Cherokee now sports the 948TE, a 9-speed automatic with a .48:1 high gear (overdrive). The concept is to reduce engine RPM when additional power is not required. On flat highway environments, the engine is barely above idle. When you need to pass or ascend a grade, the electronically controlled transmission seamlessly downshifts to the appropriate gear. To accommodate a lower final drive ratio and off-the-line torque, first gear is a respectable 4.71:1. There are three 4WD systems, Active Drive I, Active Drive II, and Active Drive Lock. A big plus is that Active Drive Lock features a fully locking, eclectically activated mechanical rear differential. 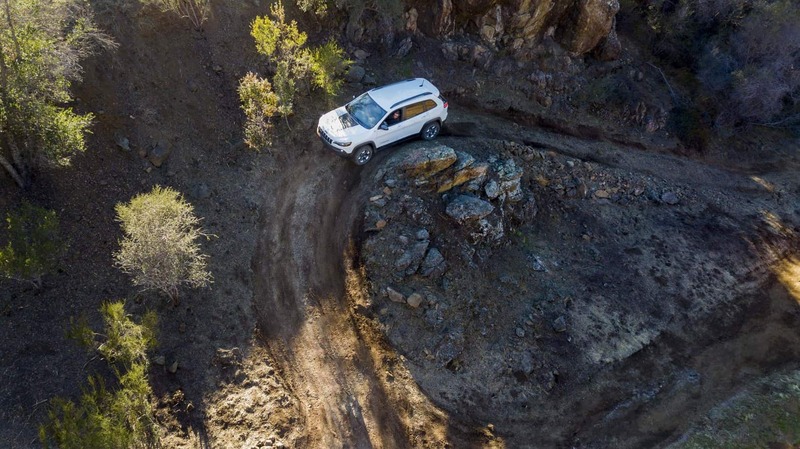 While modern traction control systems work exceptionally well (Jeep calls theirs Selec-Terrain), when doing technical trail work you just can’t beat a true locker. 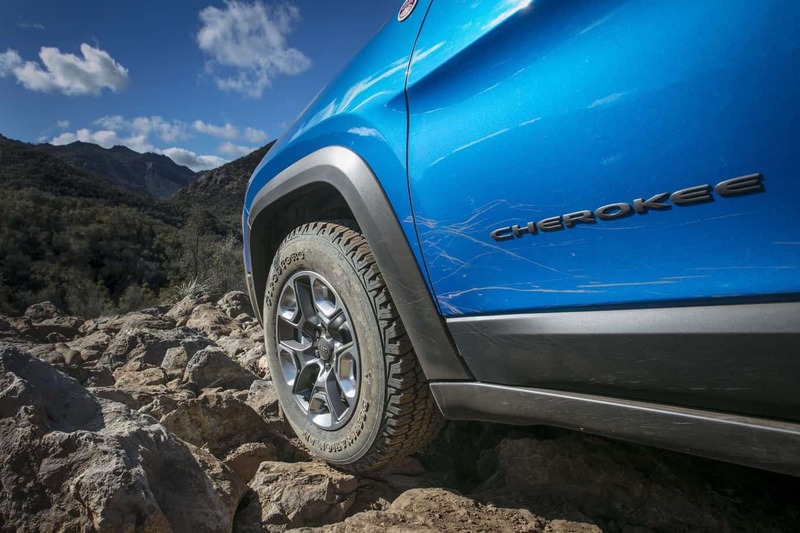 The Cherokee has retained a proper 2-speed transfer case with an impressive 2.92:1 low range ratio. 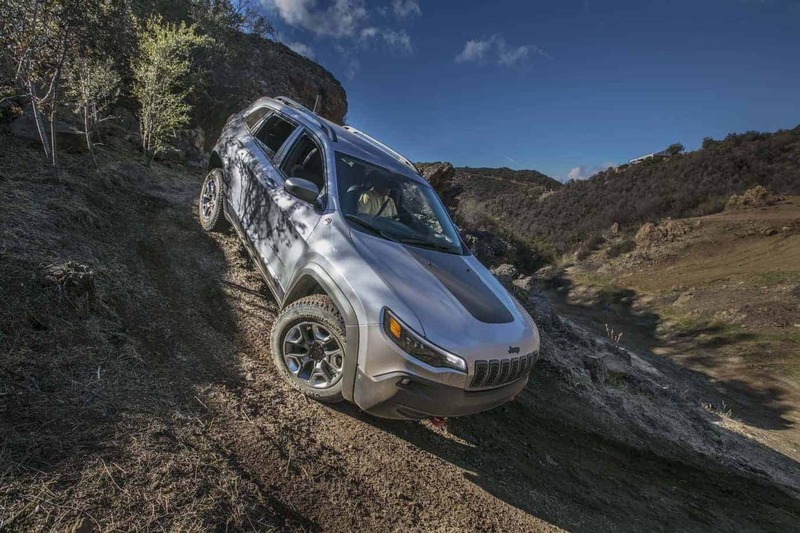 Combined with the 4.71 first gear of the transmission and 3.17 ring and pinion, the Trailhawk sports a respectable 52:1 crawl ratio when equipped with the 2.0-liter turbo; 48:1 with the Pentastar. As of late, manufacturers have found that the benefits of investing in high-strength steel for the chassis and aluminum for select body panels offset the higher cost. 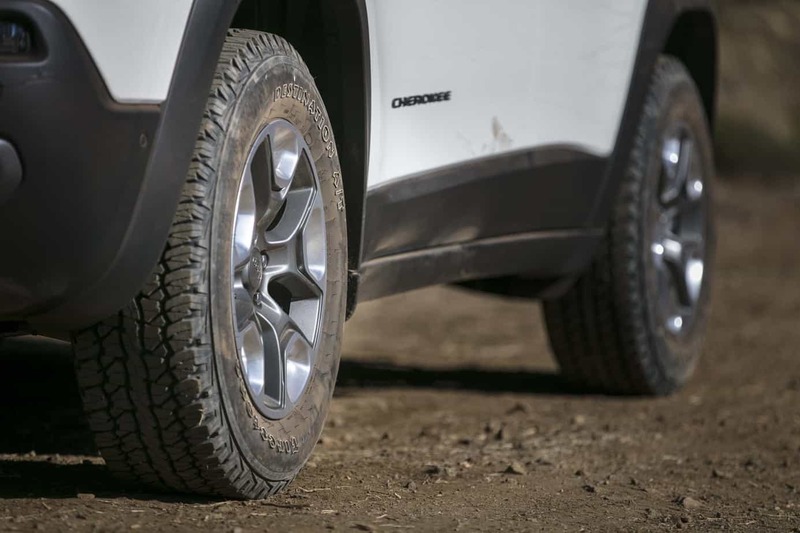 The Cherokee’s uniframe is now lighter and stronger than the previous model and has more torsional rigidity. The aluminum hood and other components have reduced the overall mass by 150 pounds over the previous model. Add this to features such as active grille shutters, electric power steering, and a more aerodynamic profile, and we should see a model-to-model increase in fuel economy (EPA figures not yet available). 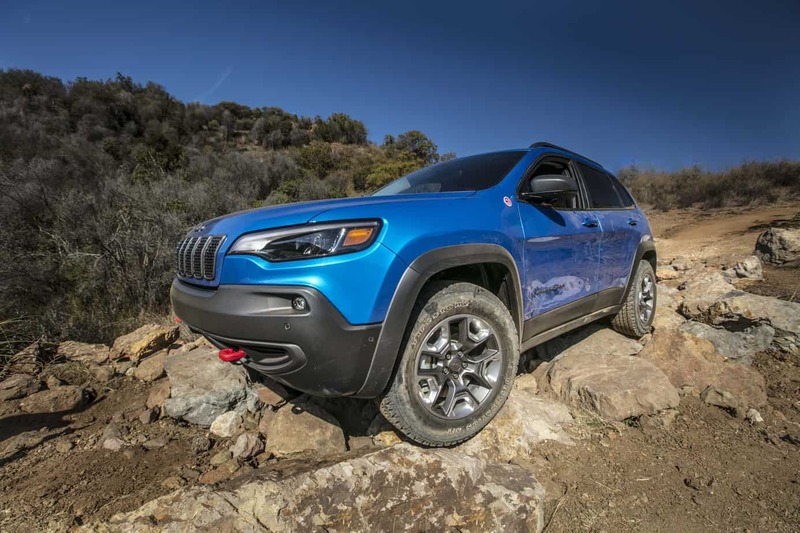 The Cherokee features Jeep’s full menu of safety attributes and electronics as standard features. Electronic stability control (ESC) and ABS are highly valuable safety features when an emergency maneuver beckons, but I’m not wild about the beeping and buzzing that occurs when the computer senses a tree or rock in close proximity. Fortunately, as is the case with ESS, most features can be turned off with the press of a button. 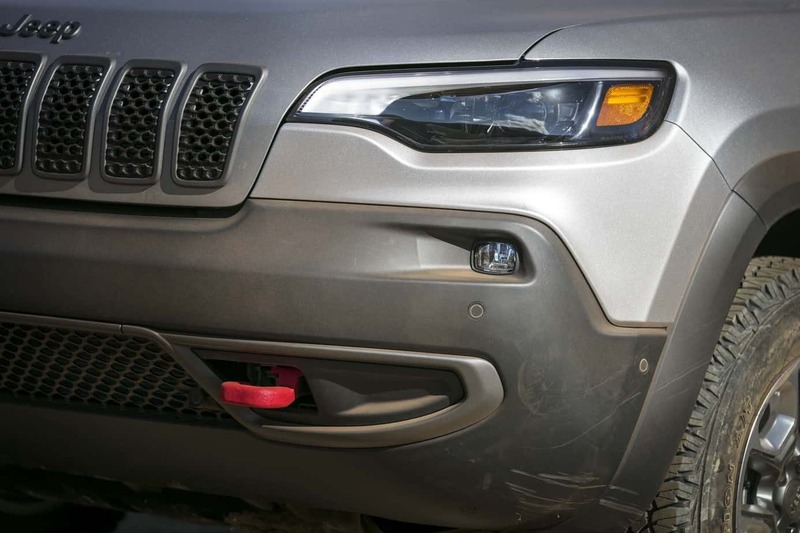 In full disclosure, the Cherokee does have parallel park assist, adaptive cruise control, forward collision warning, lane-sense warnings, blind-spot monitoring, hill start assist, rear cross-path detection, and dozens of other very effective safety features. Interior trim and ergonomics have also been enhanced, and instruments are in clear view, and controls at arm’s reach. 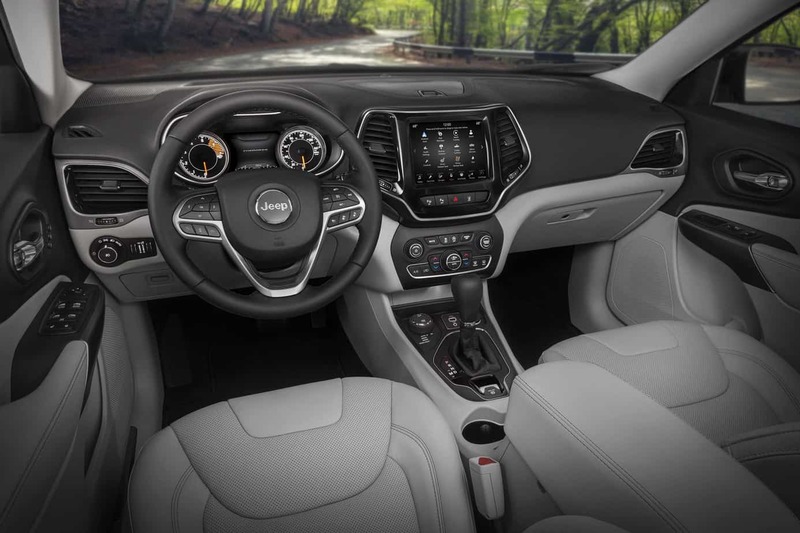 The console is now more spacious, there are additional USB and 12-volt power ports, and the Gen IV Uconnect nav/audio panel is available with an 8.4-inch touchscreen. While the Uconnect WiFi hotspot is not new, it now features 4G connectivity and Apple CarPlay and Android Auto pair with nearly any smartphone. 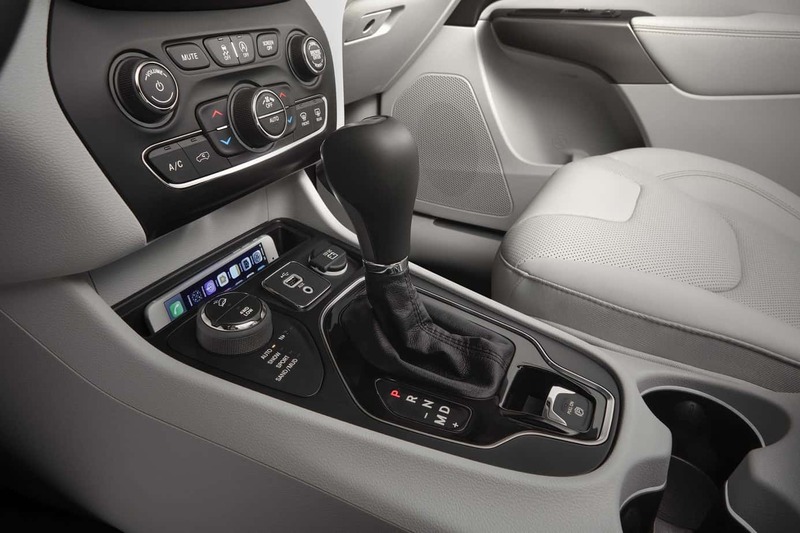 Managing the four-wheel drive system is accomplished via a console-mounted dial. There are five modes: auto, snow, sport, sand/mud, and rock, and buttons on top activate the locker crawl mode. A walk-around reveals a full lineup of LED lighting (head and fog lamps, taillights, and running lights) complementing redesigned bodylines. The combination hood/grille now has a slight roll-down appearance, and the headlights sit a little higher and wrap from the fender to hood. 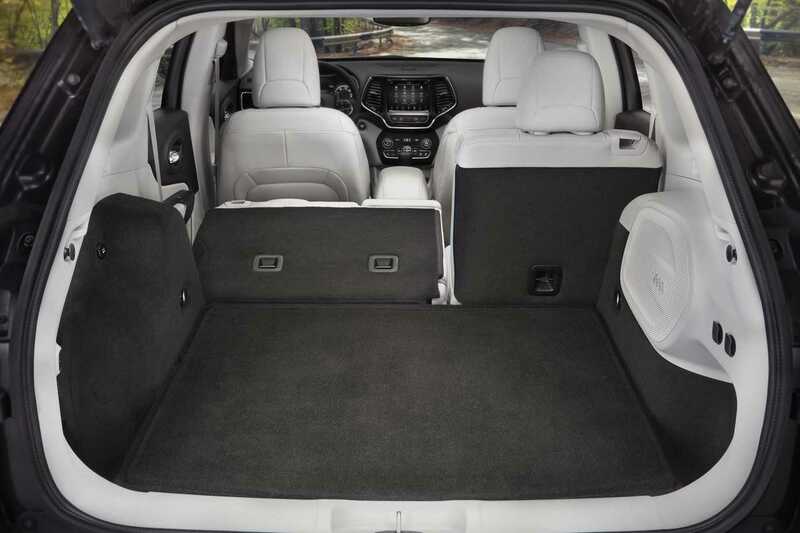 Opening the hands-free liftgate exposes an enlarged cargo bay and 60/40 fold-down rear seats, which receive plenty of light through the dual-pane sunroof. I’m not a golfer, but Jeep boasts that you can now set your clubs in sideways. I do have a gripe, and that is the fuel door. 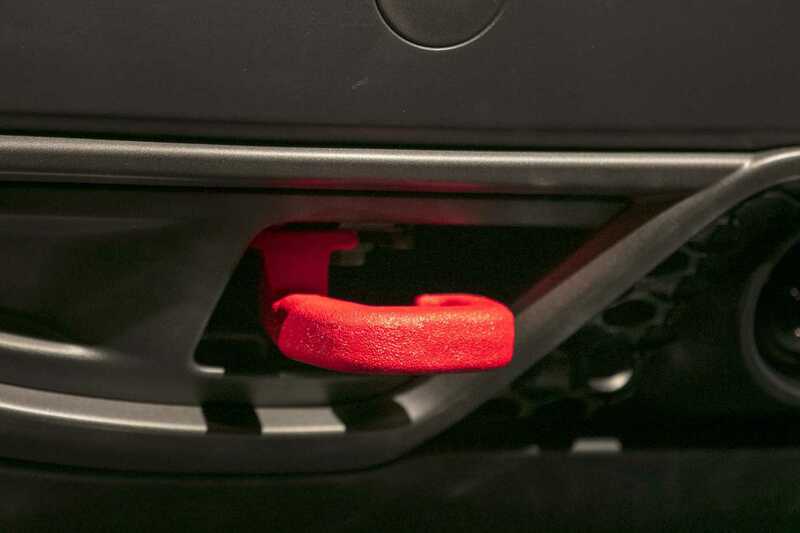 Although it is now a handy push/pull affair, the fuel “cap” is the no-spill type. While this is okay under most conditions, in really muddy or grimy conditions such as winter sanded roads, it seems it would be nearly impossible not to crack the seal without contaminants falling down the filler tube. I could be wrong. On the highway, I found the Cherokee a pleasure to drive. 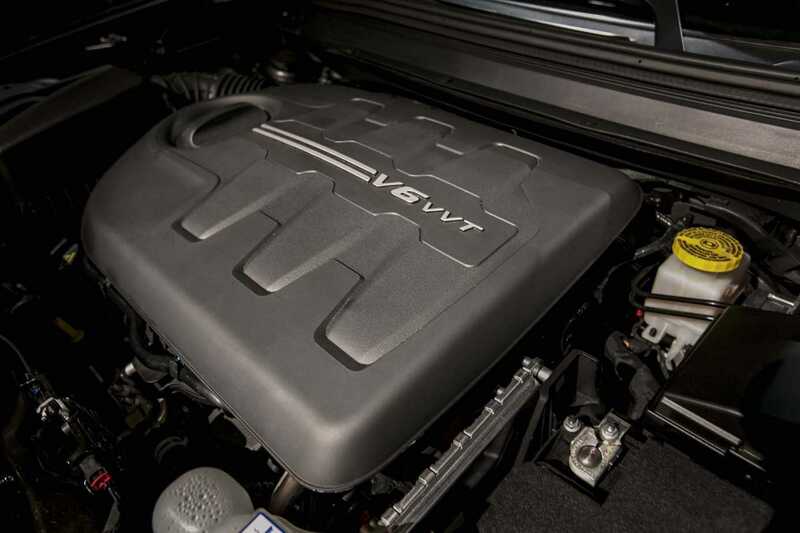 It is comfortable, sporty, and the 2.0-liter turbo and Pentastar V-6 provide ample power. It tracks well when being pushed through hard corners on the tarmac, and is quite predictable (remember, I’m not comparing it to a Dodge Viper). I’m a left-foot brake kind of guy, and I did feel the brake pedal was a bit too far to the right for my driving style. I would also note that the turning circle is a bit wider than I expected for the vehicle’s wheelbase. 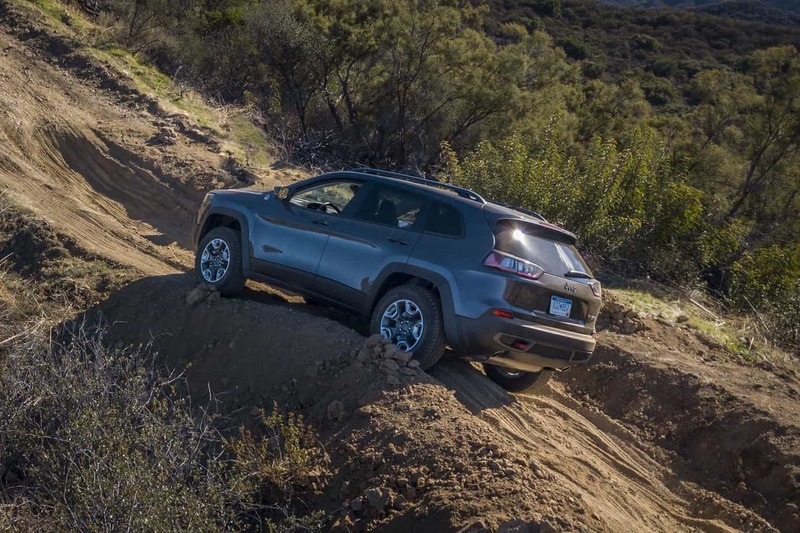 Regarding off-road prowess, while the Cherokee may not be the vehicle I would take to the Rubicon (I’d take a Wrangler by the same moniker), it is quite capable on the trail. The hill descent and crawl modes work very well, and the Selec-Terrain traction control is nearly transparent to the driver. 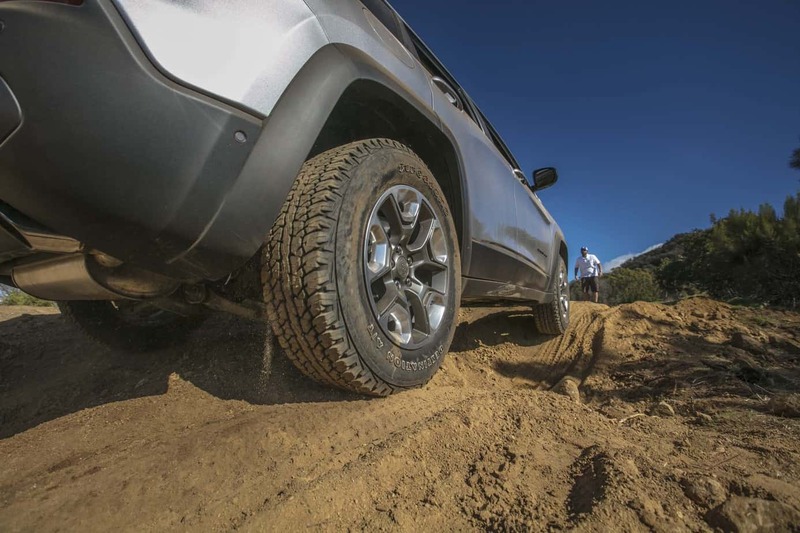 Sections of our test course were quite technical, and the Trailhawk, which comes the electric locking rear differential as standard equipment, made short work of it. Well done!